Recent APWU testimony [PDF] on Capitol Hill about the Postal Service’s obligation to provide “universal service” to all Americans seems to have stirred up a controversy. The PRC has hired contractors who favor privatizing essential USPS operations, Reid testified, noting that the individuals selected have expressed hostility to fundamental elements of universal service — the postal monopoly and uniform rates. Dan Blair, the chairman of the commission, also testified May 8 [PDF] before the Subcommittee on Federal Workforce, Postal Service and the District of Columbia, but did not address the APWU’s criticisms. At the hearing, he described the study blandly. Listed among six major PRC initiatives in 2007 and 10 in 2008, Blair included this: “Another critical undertaking this year by the Commission is our work on the Universal Service Obligation Study … which I know is of interest to Members of this Subcommittee. After the hearing, however, Blair apparently felt compelled to address the union’s concerns. In a letter to the subcommittee dated May 9 [PDF], he wrote, “Contrary to what some imply, we have not ‘contracted out’ this responsibility. “We have hired a consultant to assist the Commission in researching the substantial information and background areas required by the law. However, any conclusions, findings, recommendations or policy determinations will be those of the Commission, not of a consultant. In its letter, the union cited testimony by James I. Campbell, Jr. and Robert H. Cohen before the President’s Commission on the U.S. Postal Service, as well as a thesis by Cohen, “Universal Service Without a Monopoly,” to support its assertions. The Postal Accountability and Enhancement Act of 2006 requires the PRC to “submit a report to the president and Congress on the universal service obligation and the postal monopoly”… “including the monopoly on the delivery of mail and on access to mailboxes.” The report is due in December. The end may be near for the U.S. Postal Service (USPS). Five years ago, the USPS laid out a comprehensive "Transformation Plan." Despite the fact that USPS managers stated in this plan that "there is not a clear mandate for full privatization of the Postal Service," the recently enacted Postal Accountability and Enhancement Act (PAEA) could move the USPS closer to all-out privatization. PAEA gave the postal service more flexibility in changing rates while increasing governmental oversight. The law also mandated studies on its service. Postmaster General Jack Potter has taken the law’s passage to mean that USPS must close "the gap between rates and costs." He has proposed doing so by outsourcing work as well as increasing the amount of work customers will have to do to prepare their own mail. USPS managers have further determined that PAEA allows them to pass off policy-making responsibilities to an advisory committee made up of representatives of large mailers. Postal unions have taken notice. This summer, American Postal Workers Union (APWU) President Bill Burrus told Congress, "Postal management, in concert with private enterprises, has begun to travel resolutely down the road of privatization without authorization from Congress. Burrus descried the PAEA as a veiled attempt to undermine collective bargaining. Burris quoted Gene Del Polito, president of the American Association for Postal Commerce, as saying that USPS could "evolve into something which could be called the master contractor, where it maintains its government identity, but all the services would be performed by private contractors." One example of the USPS and the mailing industry’s determination to privatize is the creation of the Mailers Technical Advisory Committee, a panel made up of high-ranking postal officials and mailing industry moguls. According to Burrus, this committee exists "to transfer the development of important postal policy to private entities motivated by their own bottom line." Burrus noted that "the public is excluded from its deliberations, as are individual consumers, small businesses, and, of course, labor unions." Through this committee, he concluded, "Schemes are being hatched to convert work performed by the USPS to private, for-profit entities." USPS plans to contract mail delivery out to private workers got the attention of another major postal union, the National Association of Letter Carriers (NALC). NALC leaders initially supported the "Transformation" plan, but now seem to be looking at it with a little more apprehension. NALC President William Young recently called the USPS’s postal reform plans "a radical expansion of outsourcing in the delivery area." Young criticized the USPS for "following the same misguided tactics used by many private companies to suppress wages and destroy good middle-class jobs, replacing them with lower-paid contingent and part-time positions." For years, Iowa Postal Workers Union President Bruce Clark has been pushing the APWU to pay attention to another critical postal issue: pre-sort discounts. The USPS offers mailing discounts to bulk mailers that sort their own mail—discounts that end up costing the USPS more than sorting the mail in-house. Clark called these discounts "rate-case privatizations." He explained, "Pre-sort houses came from this discount rate, with lower salaries and non-union workers taking away work from unionized postal employees." Clark said these discounts are destroying the USPS and the USPS supports this. Former USPS Chief Financial Officer Michael Riley testified to Congress that pre-sort discounts are bleeding the postal service dry. Besides encouraging pre-sort houses, USPS managers are cutting mail processing and window service staff, forcing current employees to do more with less. Congressional subcommittees are currently meeting to determine how to consolidate postal operations and contract out more postal work through the PAEA. One possibility seems likely. In 2002, the Transformation Plan called for closing down "low-value access points"--post offices that are not profitable (often those in poor and rural areas). After years of secrecy, USPS managers made public a list of postal facilities they were considering for closure or consolidation with other offices. In testimony to the Postal Rate Commission, David Williams, coordinator of the Area Mail Processing program for the USPS was forced to reveal the list of 139 postal facilities being considered for consolidation. Olympia Washington was the first to take major action against proposed consolidation of their facility. 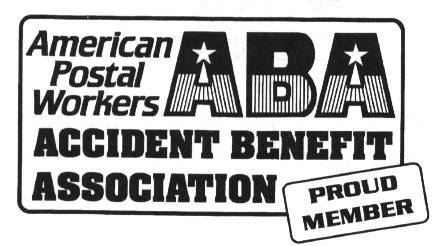 APWU locals in Waterbury, Connecticut, Waco, Texas, and Freeport, Illinois took action shortly after. A massive grassroots campaign by the Sioux City APWU, forced the Iowa Senate to pass a resolution to not close the Sioux City processing facility. The Sioux City APWU was very successful in getting all aspects of the city involved, which spilled over to state and national congressional action. 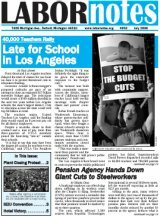 Due to the APWU’s national media campaign, a national informational picket day, and the local publicactions,nearly all of the proposed consolidations and closures have since been canceled or postponed. Unfortunately, the USPS is still working with the USPS Office of Inspector General towards more consolidations and closures. The Transformation Plan was the battle plan and PSAE was the first shot fired in this attack. Now it’s up to both postal workers and the public to take to the streets and fight for our public postal service. "We have to take our battles against the USPS privatization to the halls of Congress and to the streets," said Jim Alexander, President of the APWU National Presidents Conference. "It's up to us to make sure the public makes an educated decision." As employees of the United States Postal Service®, we have a legal, moral and fiduciary obligation to obey the tax laws of our country. As both citizens and public ser­vants who are obligated to uphold the public trust, we are ethically mandated to complete and file all required tax forms for our federal, state and, where applicable, local taxes. We are required by appropriate taxation laws to pay all of our required taxes in a timely and accurate manner. Regrettably, the USPS® has recently received a num­ber of notifications from federal, state and local taxing authorities indicating that an increasing percentage of our employees have some type of income tax delinquency. For example, the Internal Revenue Service (and several other federal agencies) have issued Federal Tax Levies and Salary Offsets against approximately 8,000 of our employ­ees. To have this many employees with a balance owed is more than just an issue between the IRS and an individual. When USPS employees are viewed as being non-compliant with the proper payments of their federal taxes, it impacts the public’s confidence in our abilities to conduct our assigned mission of delivering the mail. The IRS wants to assist all USPS employees in meeting their tax filing and payment requirements. Adherence to these requirements will help all USPS employees to avoid costly penalties and the potential of tax enforcement action by the IRS. Please note that the IRS provides free tax infor­mation and services to inform and assist taxpayers con­cerning tax laws and individual responsibilities. Call toll free at 800-829-1040 to contact an IRS representative for fur­ther federal tax information. Additionally, state and local taxing authorities as well as state courts have reported an increase in the number of USPS employees with outstanding state tax levies, unpaid student loans or commercial garnishments. During calen­dar year 2007, we processed more than 33,000 of these orders from these state and local entities. 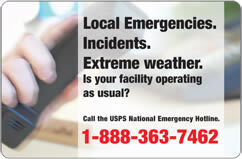 As with federal taxes, USPS employees are reminded that they are respon­sible for prompt payment of all of their debts. Employees are reminded that appropriate state/local employment taxes are withheld from salaries based upon your work location, not your place of residence. For example, if you work in a state and/or locality that assesses a tax, the appropriate tax is withheld because that is where you work. Although you may live in a non-taxing state/locality, your place of residence has no bearing upon the payment of taxes at your work location. Note: Some states do have bilateral agreements concerning the collection of state taxes. However, there are no such official agreements concerning local taxes. All employees are bound by the materials contained within the Code of Ethics, Principles of Ethical Conduct for Government Officers and Employees. This includes Princi­ple 12 which states, “An employee shall satisfy in good faith their obligations as citizens, including all just financial obligations, especially those — such as federal, state or local taxes — that are imposed by law.” It is essential that all Postal Service™ employees adhere to the highest possible ethical standards concerning the payment of their taxes and other debts. Click here for newspapers any where! ST. PAUL, MN - Thousands of mongers specializing in the fields of fear, hate and war will gather to monger at the Republican National Mongering Convention (RNMC) being held here at the Excel Energy Center starting on Labor Day. With the corporate media focused on them, fearmonger specialists will "code red" the entire nation and warn about external threats to our country. Hatemongers will swift-boat political opponents and present wedge issues concerning sexual orientation and religious choice spiced with additional comments focusing on race and gender. Warmongers will tell us that the answer to an unjust and ill-planned war is MORE WAR! The four-day mongering convention itinerary includes youth monger-building activities (mornings only) and provides three meals a day to promote social mongering. Local taverns have been issued permits to remain open until 4:00 A.M. allowing mongers to monger longer by creating an opportunity for optional late-night mongering and tension relieving barroom mongering. What can we expect from four days of mongering? The same thing you would expect anytime you shake up a can of mixed nuts…the biggest nuts will rise to the top! This collection of the greatest mongering minds in over a decade will make them a target for demonstrations. Over 50,000 demonstrators are expected in St. Paul. Protestors weren't as lucky as the bars with their permits however. They will be stopped 300 ft. from the convention center and be required to finish by 2:00 P.M. Sept 1st. This will place them across the street from an empty building! Protestors have filed suit demanding full freedom of speech rights. They vow to use a diversity of tactics to be heard. Police have been issued tasers in advance. Denver will host the Democratic National Convention in August. The question is - will it be anything as mongering?